In recent months my small town life got a bit rough in terms of some of my relationships. Specifically, those relationships which I’d developed with local conservatives. It was my intent to cross lines, to try to relate to my fellow humans as humans regardless of their political or cultural leanings. As a result, I’d gotten to be “friends” with quite a few folks that I tended not to agree with on many things. They knew and I knew those differences existed but we made a go of it. But eventually those differences presented themselves front and center and some of those friendships ended in turmoil. What I am coming face to face with in rural Missouri is the hard truth that many rural residents are not comfortable with having their beliefs challenged, most notably their religious beliefs. Some are able to co-exist with science and accept the possibility that their belief in a higher power can be retained along with an acceptance of science. Others don’t seem able to bridge the gap but tend to remain neutral. Some are resistant to the point of hostility. I have pondering for some time what seems to be an innate tension that exists between religion and science. This is a very real and very serious problem and manifests itself in important and basic elements of science education, namely the teaching of the Big Bang, evolution and climate science. Creationism and intelligent design (a version of creationism promoted by the Discovery Institute) are not, in any way, valid alternatives to evolution. Nor does the fundamentalist Christian community provide any kind of explanation or description of the origin of the universe and yet, they have established an influence in public education on this as well. While the U.S. has downgraded and simplified math and science education other countries are making great progress. My intent here is to explicitly advocate for science literacy and reason. Evolution, the Big Bang, climate change are all areas of science that have been, to a great degree, settled. While there are many in this and other rural areas who do understand the importance of science as a method for understanding the world and as a basis of progress, there are many who do not. A part of the problem comes from the churches, from organized religion who are crossing lines in terms of social and political advocacy which cannot be tolerated. Another part of the problem is the confused and sloppy thinking that comes from religious belief. I would argue that religion, as it is based on faith, actually requires a level of rejection of reason and the scientific method. At the core, science is the search for truth while religion is advocacy of a belief in something that can never be shown to be true. I’d like to explicitly support a few organizations that are doing important work that you can support and in some cases actually participate in via citizen science projects. Another is the National Center for Science Education. Last but not least is The Planetary Society, co-founded by Carl Sagan and currently headed by Bill Nigh. The Planetary Society sponsors projects that will seed innovative space technologies, nurture creative young minds, and be a vital advocate for our future in space. Our Mission is to create a better future by exploring other worlds and understanding our own. And flying our very own solar sail spacecraft, Lightsail-1. Interested in getting your hands dirty with some citizen science? Of course you are! Check out the Zooniverse which is a project of the Citizen Science Alliance. The Zooniverse began with a single project, Galaxy Zoo , which was launched in July 2007. The Galaxy Zoo team had expected a fairly quiet life, but were overwhelmed and overawed by the response to the project. Once they’d recovered from their server buckling under the strain, they set about planning the future! 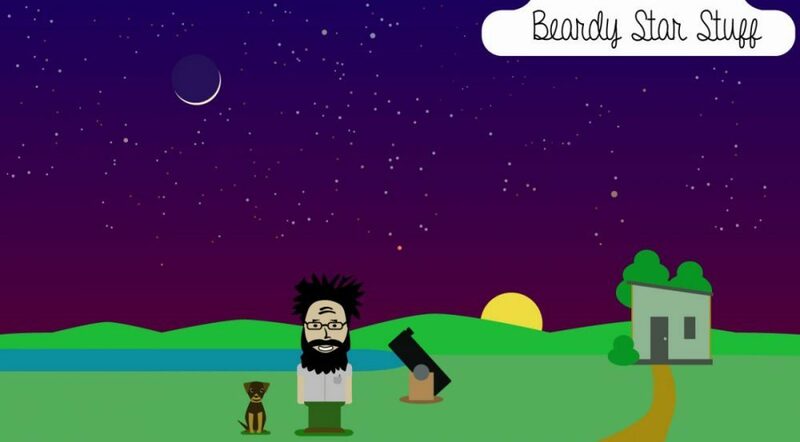 Galaxy Zoo was important because not only was it incredibly popular, but it produced many unique scientific results, ranging from individual, serendipitous discoveries to those using classifications that depend on the input of everyone who’s visited the site. This commitment to producing real research – so that you know that we’re not wasting your time – is at the heart of everything we do. The Zooniverse and the suite of projects it contains is produced, maintained and developed by the Citizen Science Alliance. The member institutions of the CSA work with many academic and other partners around the world to produce projects that use the efforts and ability of volunteers to help scientists and researchers deal with the flood of data that confronts them. My favorite thus far is Planet Hunters which I have participating in. It’s very easy and exciting to know that I’m actually doing some of the preliminary work required to find planets around distant stars. Of course there are others but these are the ones I wanted to mention today. This entry was posted in Astronomy, Citizenship, Climate Change, Science, Science Outreach on January 16, 2013 by Denny.